We present you the player who is on a right path of getting AC Milan back in the Champions League – the Spanish right winger, Suso. AC Milan is the second most successful club in the Champions League with seven wins in their history. They have dominated football in the late 80s and early 90s and were one of the best European teams at the start of the new Millenium. 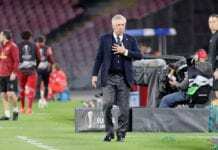 Their legendary captain Paolo Maldini has won the Champions League 5 times, playing with many different generations in his 25-year spell on San Siro. Milan have won their last Champions League title in 2007 led by the magical Brazilian attacking midfielder – Kaka. Their last appearance was in 2013/14 season when they were knocked out in the round of 16, with a heavy 4-1 defeat by Atletico on Vicente Calderon. They haven’t played in the next five years of the Champions League, but this season AC Milan finally seem to be on the right path that could get them back in the European top flight. The Rossoneri are on the 6th place at the moment, two points behind capital’s rivals Lazio and Roma, with one game less played. They are also 4 points behind third-placed Inter. Milan’s best player for the season is the 25-year old right winger, Suso. He has scored 5 Serie A goals and noted 8 assists in his 21 appearances. Suso is born in an ancient port city in the Andalucia region of southwestern Spain, called Cadiz. His love for football started at his young age, as he joined the Cadiz academy at the age of 9. Then he joined the Liverpool Academy in 2010 and on 19 November, Suso marked his 17th birthday by signing his first professional contract with the Reds. Suso made his professional debut in 2012 in a Europa League clash against Young Boys. He made his Premier League debut three days later, in the 1-2 home defeat from Liverpool’s biggest rivals – Manchester United. The youngster couldn’t leave his mark at Anfield during the 2012-13 campaign that saw the Reds finish seventh in the league. He made only 14 Premier League appearances, failing to score or assist even once. In the next season, Suso was sent on loan to La Liga side Almeria. He scored three goals and assisted seven times, as his contributions kept Almeria in the division by a single point. The arrivals of Adam Lallana and Lazar Markovic in summer 2014 pushed him down the pecking order and a move to the San Sir followed at a time when the Rossoneri were riddled with uncertainties. The club had missed out on European football for the first time since 1999, and it was a strange place to be. Suso couldn’t adapt in the first year, as he played only six Serie A games in the period from January 2015 to January 2016. He has been loaned once again at the start of 2016, this time so Genoa. He scored six times in 19 appearances and helped the team finish on the tenth place. It was the 2016-17 campaign that was enough to suggest that the once skinny and scrawny lad of 17 was close to realizing his potential. 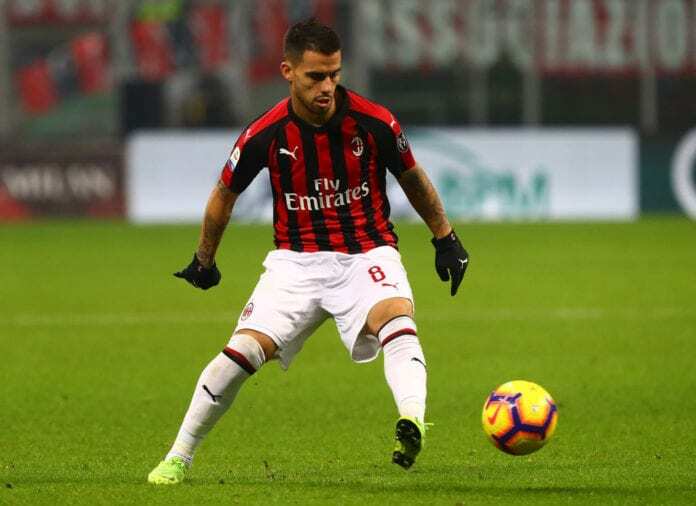 Milan did finish sixth, but Suso emerged as one of Montella’s most important players in a side that was young and always looked to play attacking and attractive football. Suso has scored seven times and made nine assists in a season that established himself as one of the most promising Serie A u-23 sensations. He was always positive, looking for the ball on the right and liked to take on defenders. His last season was even better, as scored eight goals and added 14 assists in all competitions. However, AC Milan missed out on the Champions League once again. The 25-year old has a €40m release clause in his contract. Suso, however, is not thinking of leaving the club: “I am happy here and the same goes for my family. I rejected many offers to stay here last summer. I want to stay and we are in talks for a contract extension”. He is Milan’s best player in the season and with the addition of Krzysztof Piatek, the Spaniard could lead the club to top 4 finish and a place in the Champions League. After all, they are 7-times winners and it would be nice to see them back.